Manchester United finally ended their winless run on Saturday by beating Newcastle United 3-2 with a late Alexis Sanchez winner in what might have been Jose Mourinho's final match in charge. Kenedy and Yoshinori Muto gave the visitors a shock two-goal lead early in the first half. Juan Mata and Anthony Martial levelled the match after the break, and Sanchez made the difference in the final minutes. United had failed to win any of their last four games across all competitions, and David McDonnell at the Mirror reported on Friday that Mourinho would be sacked regardless of the outcome of Saturday's contest. There were plenty of questions surrounding the team and Mourinho entering this match, and it took the Red Devils roughly 10 dire minutes to answer them. Two lackluster defensive efforts resulted in a two-goal deficit before fans truly realised what was going on. Has a manager ever been sacked during a match? The Portuguese tactician brought on Marouane Fellaini for the second half and moved Paul Pogba into an unfamiliar defensive role. Things worked out in the end, but Mourinho can't take full credit for the win. Newcastle haven't won a match this season and have been in crisis themselves for some time. A better team would have finished the job on Saturday. Mourinho is out of answers. He's stubbornly held onto ineffective tactics and has continued to say all the wrong things to the press, alienating fans and pundits in the process. The problems at Old Trafford run far deeper than the manager, but the manager is a problem nonetheless. With the international break on the doorstep, now is the right time to part ways. 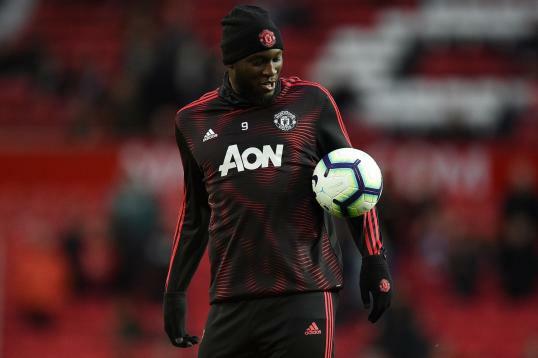 The break gives the Red Devils ample time to find a replacement, whether it's a permanent solution or a short-term fix. Either way, things can't go on like this. The Red Devils need plenty of change, and one of the key changes to make is converting Ashley Young back to a winger. Ashley Young getting turned inside out for both goals suggests he might not actually be a full-back... Who knew? Young has produced some fine outings at right-back in his career but has made too many errors to justify keeping him there. The club invested in Diogo Dalot during the summer, and they either have to give the youngster the chance to develop as a starter or find someone else for now. This season already seems like a write-off; the Red Devils may as well invest in their player development ahead of the next campaign. Both teams had strong penalty shouts denied before half-time, with Young and Muto shown to have handled the ball. Young's offense in particular was clearly a penalty and would almost certainly have been overturned with help from a video assistant. Alas, the Premier League opted against the use of VAR, so a goal kick remained the decision. Young elbowing the ball out of play in his own box and not getting either a penalty or a corner against him, but a goal kick. Anthony Taylor never ceases to amaze. The VAR system is far from perfect but has generally improved fairness in every major European competition in which it's used. It's time for England's top division to join the rest of those leagues. United will visit Chelsea after the international break. Newcastle play host to Brighton & Hove Albion.